It took me like a week to read this short book because it was so raw and painful.Also some of the essays were a bit disconnected so it was confusing sometimes. 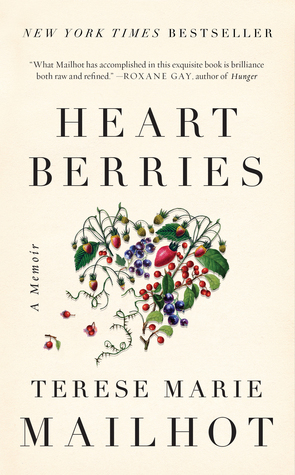 This poetic memoir deconstructs Indigenous stereotypes, as Terese Marie Mailhot disrupts what her narrative should look like, re-imagining personal sovereignty on her own terms! Mailhot is a writer to be reckoned with. Heart Berries is a raw, unfiltered look at Mailhot's life told via ethereal and poetic proses. However, Mailhot's proses felt disjointed at times making her story, at times, inaccessible to the reader. This short memoir deals with a lot of pretty heavy stuff, including child abuse, mental illness, poverty, and the struggles of indigenous cultures. Despite the brutality of the topics, the language is richly poetic and gripping. I don’t even know how to begin. This is unlike anything I’ve read. It feels like you’re inside the author’s mind, looking out at her life as she comes to terms with herself, her family, her past, present, and future. It’s disquieting, often disturbing, brilliantly written. 4.5. Memoir filtered through the poetics of mind and language. Raw, primal, elemental. Memory as abstraction; emotion as compass, weapon, and shield, and yet always as truth. Necessarily fragmented and apportioned, speaking to her loudest truths and structurally, aesthetically informed and sometimes mirroring her diagnosis. Completely unique and immersive reading experience.